Today three new papers were published in the journal Folia conchyliologica. The first paper is a formal publication of a paper for which a preprint was published end of last year. It deals with the hypothesis that eponyms given by an author denote an actual contact. This has been verified for some authors on the basis of available archive material. There is some evidence that the first eponym was given around the time of the first contact. The conclusion is that eponyms can be used as a proxy for contacts if contextual information is taken into account. The second paper looks into the relationships of members of Bourguignat’s ‘Nouvelle École’, who published in the journals of the ‘Société malacologique de France’, with contemporary malacologists. 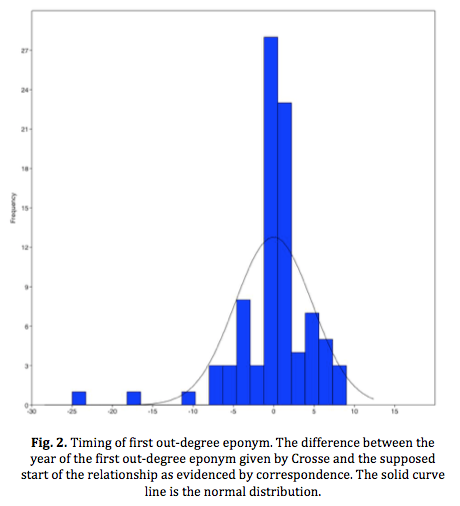 Both eponyms used and positive or negative remarks about these colleagues have been analysed with social networks. The results are discussed from different points of view. The last paper deals with the contribution of Alcide Paladilhe to malacology, including a bibliography and list of taxa. It includes a discussion of a recent paper by Boeters & Falkner, corrects some information on type material, and shows that a neotype designation made by them was unnecessary because the type material exists in the Paladilhe collection in Montpellier. Audibert, C. & Breure, A.S.H., 2017. 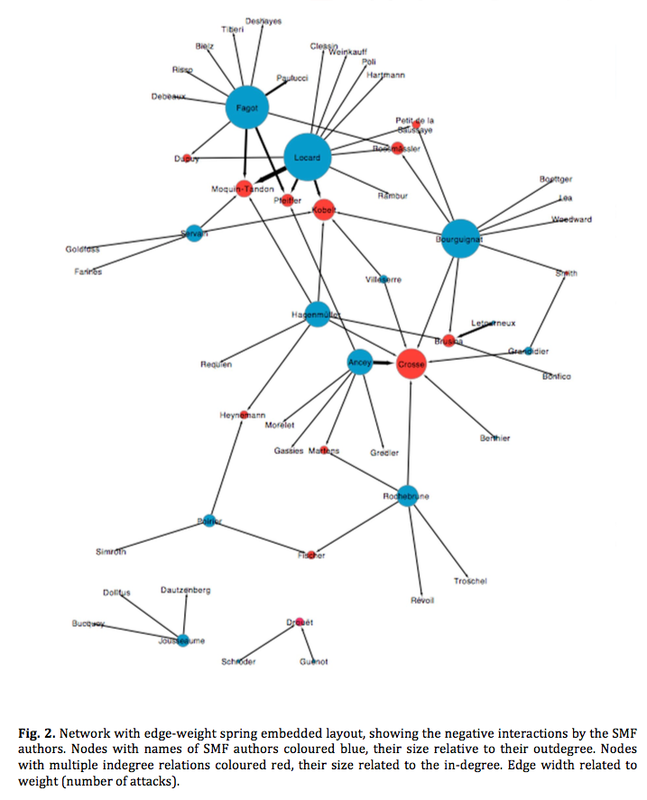 The role of the Société malacologique de France for the Nouvelle École of Bourguignat: a historical network analysis. — Folia conchyliologica, 41: 13-22. Breure, A.S.H., 2017. 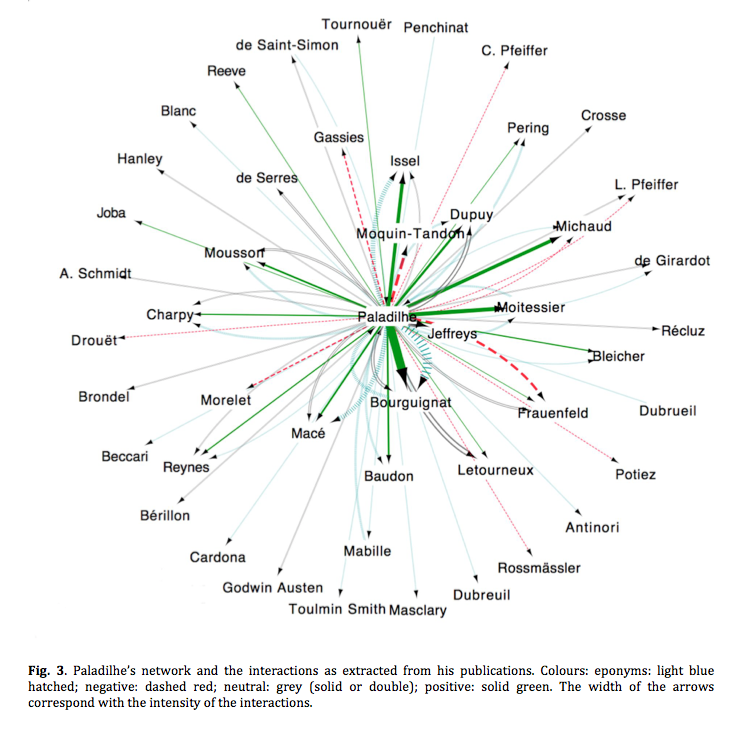 Reconstructing historical egocentric social networks in malacology: is there a link between eponyms and contacts of an author? — Folia conchyliologica, 41: 3-12. Breure, A.S.H. & Audibert, C., 2017. Under the spell of Bourguignat: Alcide Paladilhe’s malacological work, with notes on his collection. — Folia conchyliologica, 41: 28-39. This entry was posted in Uncategorized and tagged publications on September 1, 2017 by bramb.